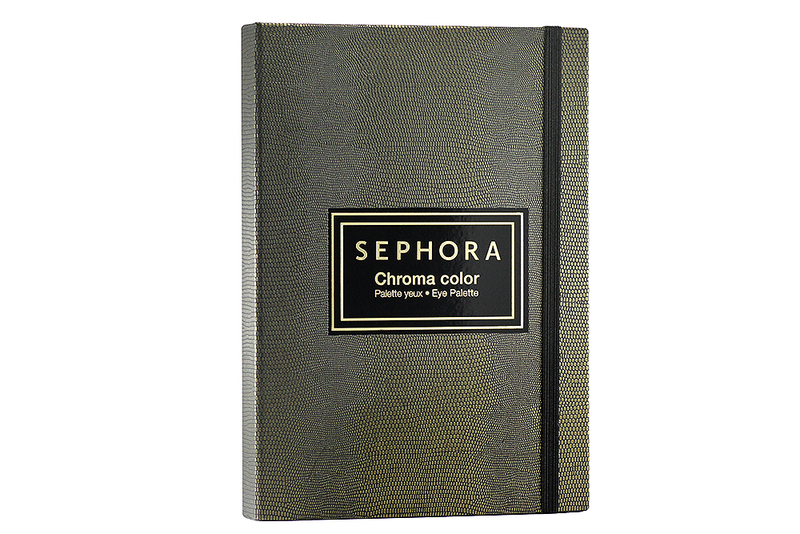 Sephora Chroma Color Eye Palette features a stylish golden-olive tri-fold case with an ombre-inspired faux-croc exterior. 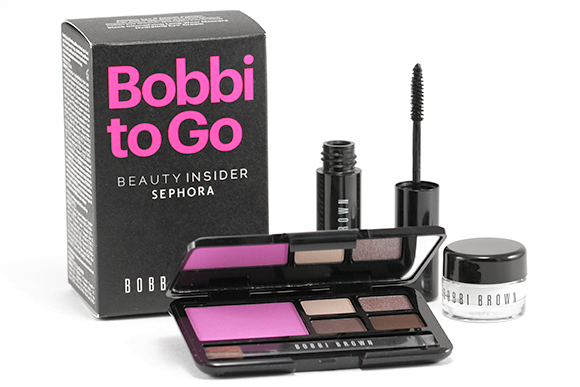 The whole palette is secured by an elastic rubber strap to keep the palette from opening during storage/travel. It is a little bulky at 10.5 in L x 7.5 in W x 1 in H (26.7 cm L x 19 cm W x 2.5 cm H) and will require quite a bit of space if you are to spread out the entire palette. I have very limited space on my vanity so I usually focus on one panel at a time and keep the other two panels folded underneath it. Upon unfolding, you'll see 3 connected panels. 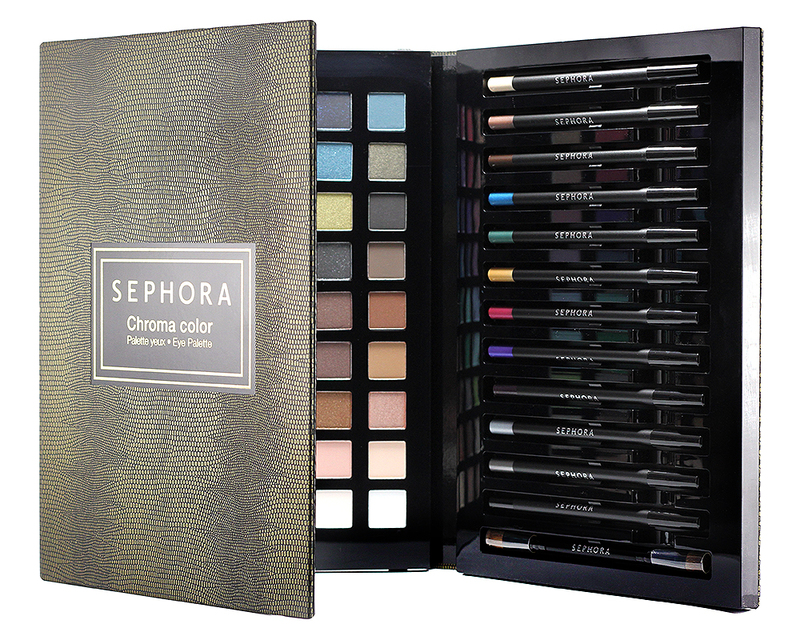 On the left is a full-sized mirror, in the center is an array of 54 eyeshadow colors, and on the right is a vertical display of 12 full-sized kohl eye pencils and a double-ended eyeshadow brush. 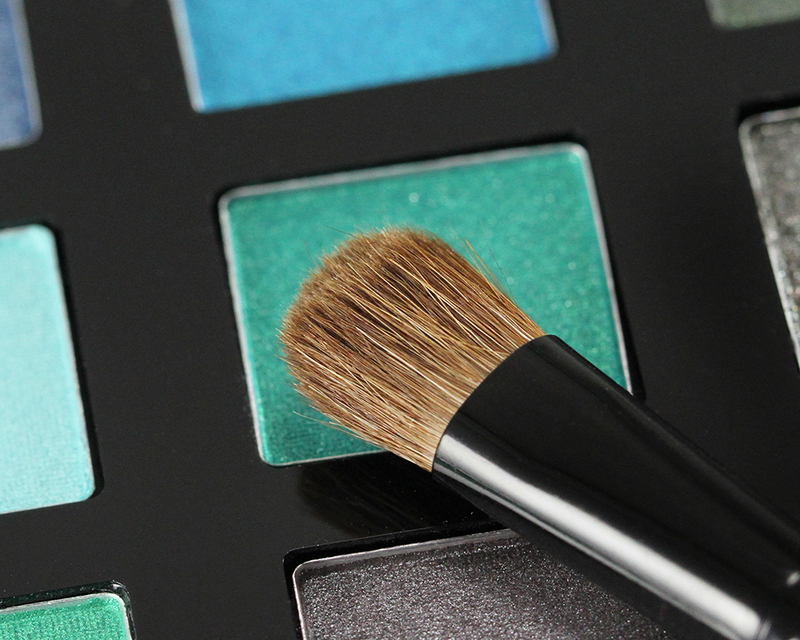 The brush is decent, soft, and picks up the shadows well. It's a flat shader brush that is slightly fluffy so you can double use it as a crease and/or blending brush, too. 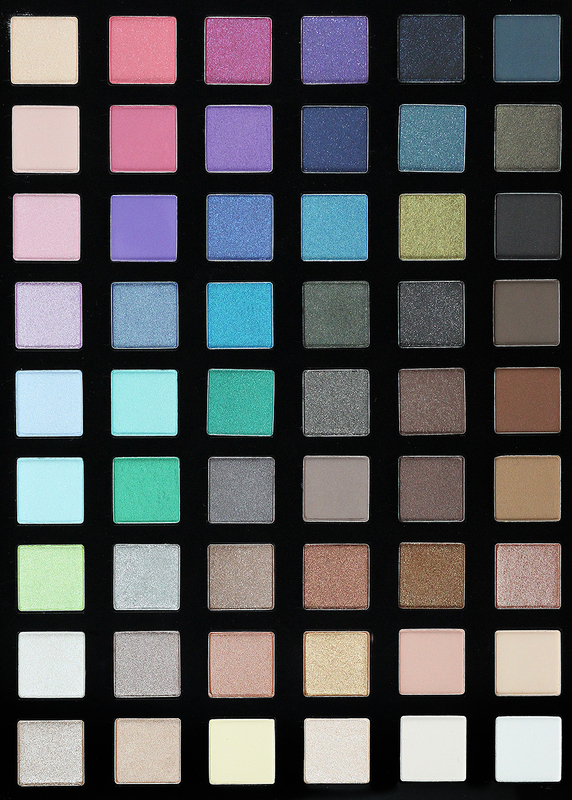 The palette features a total of 54 eyeshadows. The colors range from neutrals at the bottom of the palette to colorful shades at the top. We have everything from pale beige, off-white, gold, brown, silver, gray, taupe, and charcoal to green, pink, blue, teal, and purple. However, what it lacks is a good basic matte black. 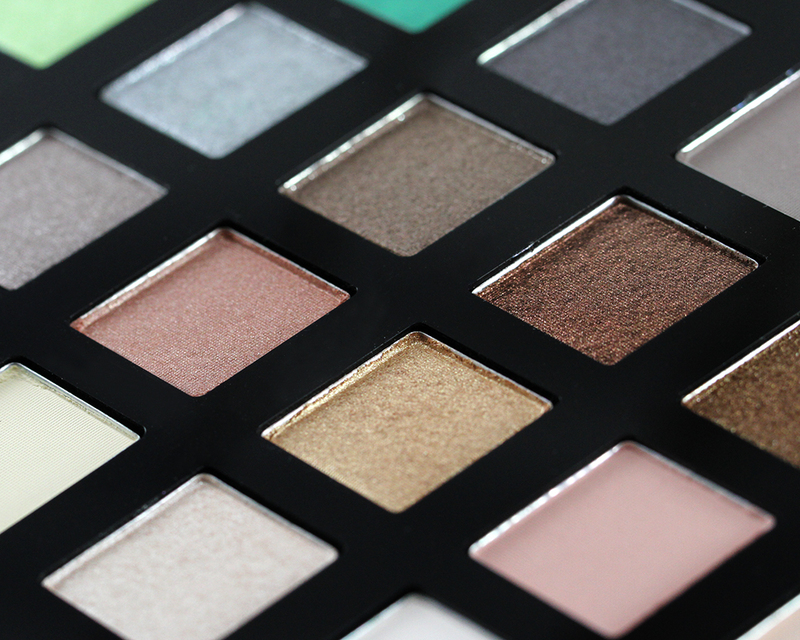 I'm a bit surprised that it wasn't included considering this is the eye palette that's supposed to have everything. The closest shade to black is probably the dark charcoal gray in the last column, row 3. The finishes include matte, satin, shimmery, glittery, and metallic. The overall quality is average. They feel dry upon touch and do not adhere well to the skin. Eye primer/base is a must to intensify the vibrancy of the shadows and to extend their longevity. Blending also requires quite a bit of patience as some of the colors are difficult to blend to a smooth finish. 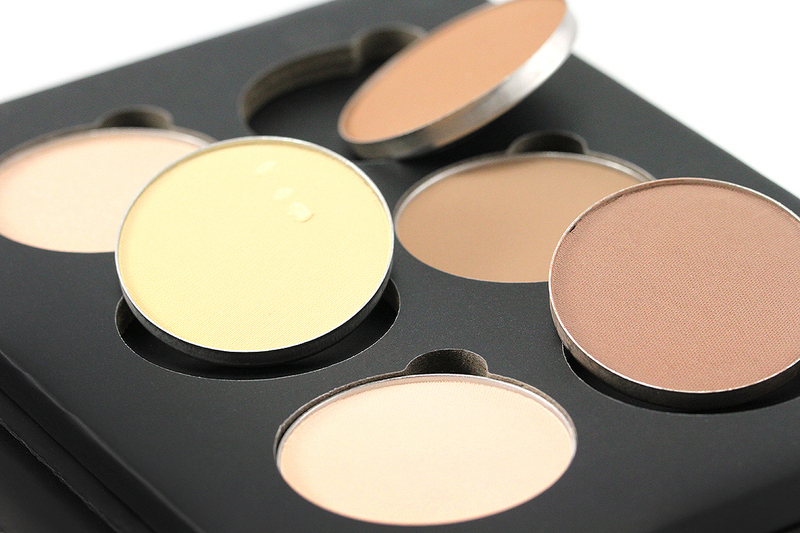 In terms of pigmentation, they are on the sheer-to-medium side but at least they are buildable. The neutral shades perform better and are easier to work with than the bright colors but to get anything similar to what you see in the pans, you have to really pack it on. The mattes are mostly soft, smooth, and blendable except for a few shades that are chalky, powdery, and produce some fallout. The satins, shimmers, and metallics are the better performers. They apply more smoothly and evenly but some of them are crumbly and generate serious fallout. The glitters are the worst performers; they are dry, gritty, and apply unevenly with a lot of glitter fallout. The texture is also considerably thinner than that of the other finishes. 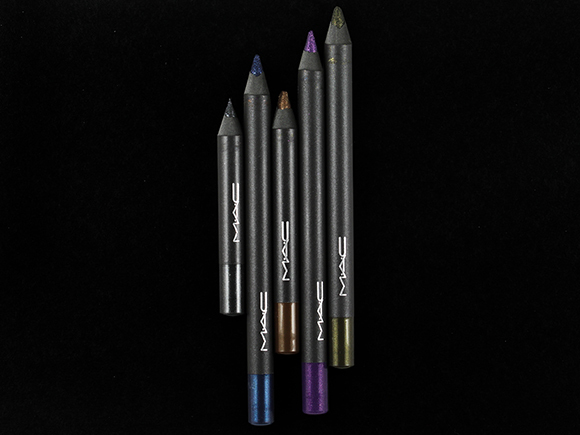 All 12 eye pencils are full-sized and they are the kohl type. The colors span a good range of neutrals such as gold, brown, silver, black, and taupe to some colorful ones such as green, blue, pink, and purple. 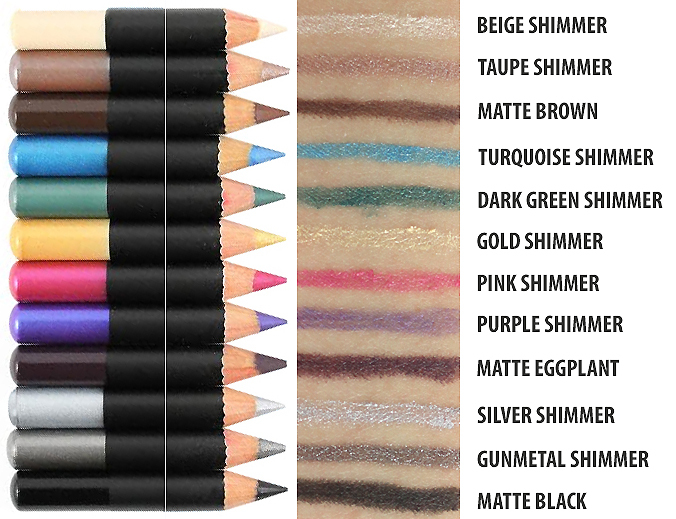 There are 2 finishes, matte and shimmery, and I find the matte ones perform much better than the shimmery ones. 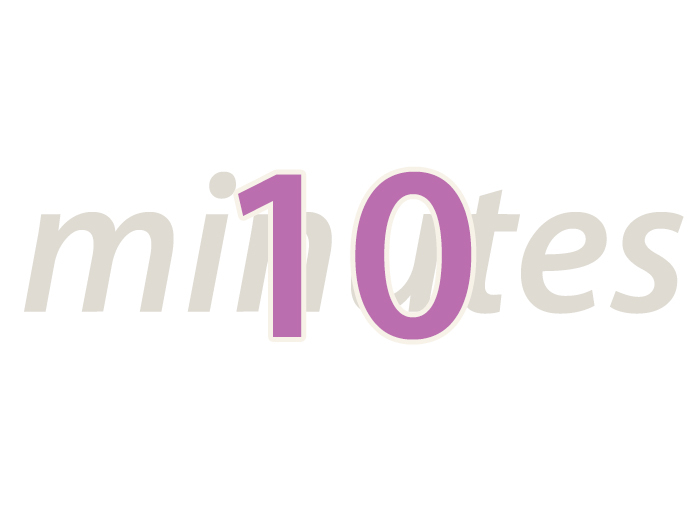 They are smoother, creamier, and somewhat more opaque. 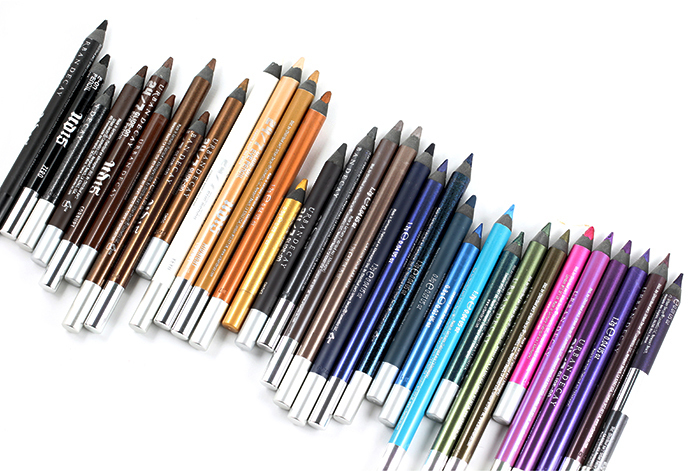 The browns and blacks are more pigmented and apply more smoothly and evenly. The colorful shades are quite a let down since they are really sheer, dry, and stiff so they tug and pull a lot during application. I feel that I have to press really hard on the skin to get any color payoff and even then the finished look still appears sort of sheer and faded out. They don't last long, either, as I noticed some fading, smudging, and flaking off at the end of the day. 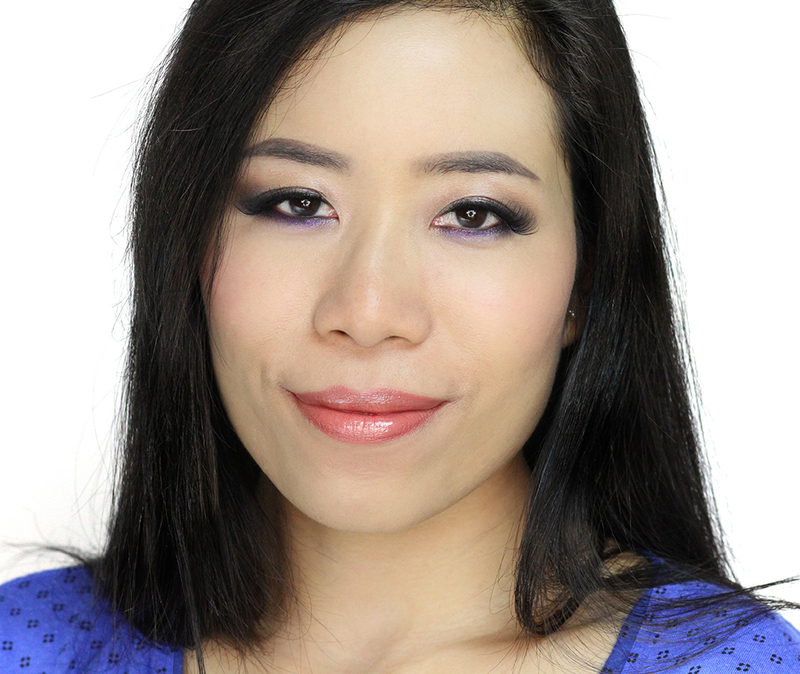 I usually reserve these pencils to just the lower lash line or inner corner for an added pop of color. 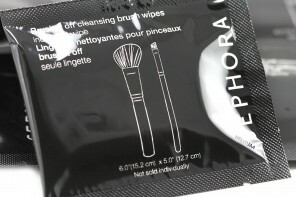 If you are looking to buy Sephora eyeliners, I recommend the Contour Eye Pencil 12hr Wear Waterproof (review) instead. 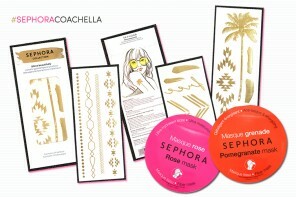 They are much smoother, creamier, and have better pigmentation. 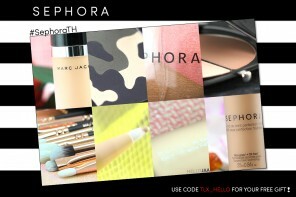 Disclosure: The Sephora Chroma Color Eye Palette was provided by Sephora. All opinions are my own. 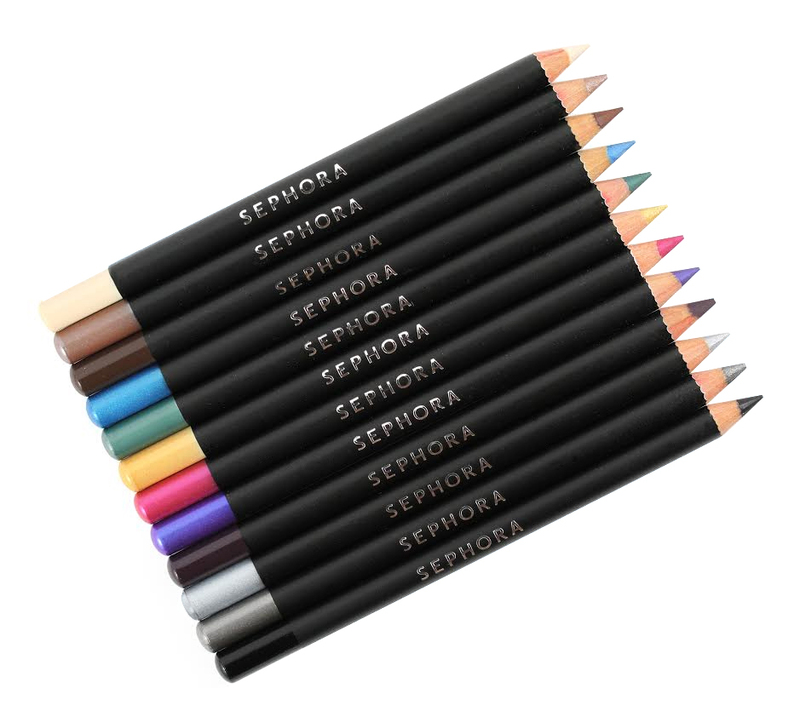 I’m obsessed with the sephora 12 hr pencils, they are SO wonderfully non irritating and long lasting in my upper waterline. Thank goodness you mentioned that these are not the same, I would have been tempted lol! Sorry I’ve been “away” but I’ve been a vigilant reader and the site is the best it’s ever been. Thanks for another great review! Such a pretty look, Jaa! You know me, I’ll have to pass. 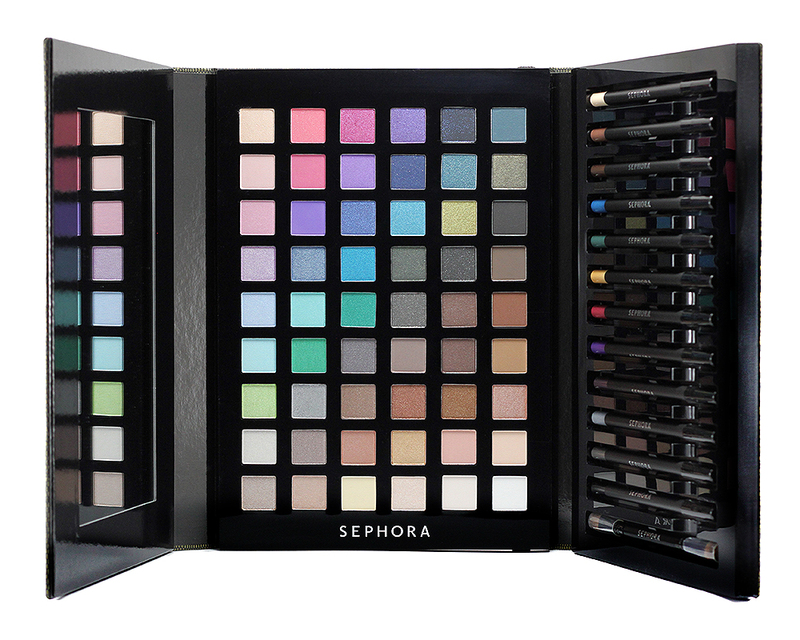 I literally wouldn’t know what to do with such a big palettes LOL This would make such a lovely present for someone who is venturing into colors though! Love the look you put together. And your effort in swatching everything! Wow! Right? I actually did feel like a little girl when I first opened the palette! 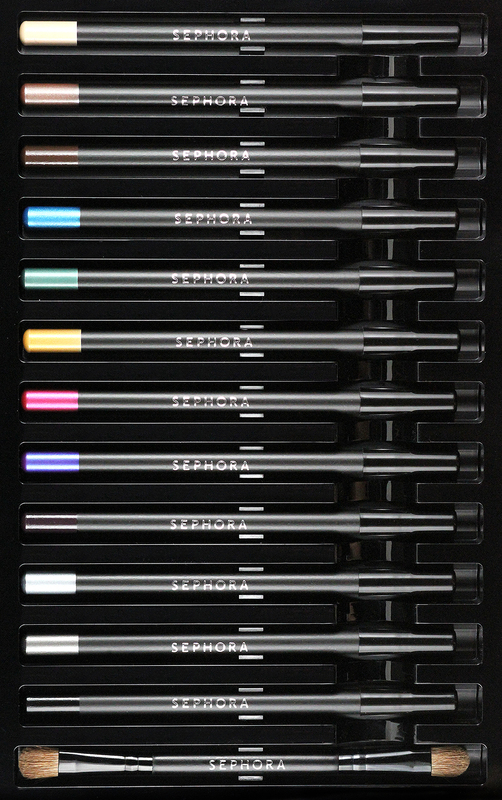 :D :D :D So many colors to play with! It’s been a long time since I bought Sephora brand eye shadows/palettes. I know they’re much better than they were years ago, but they’ve also upped the price, so I always find myself looking at other brands with steadier overall quality or just better packaging/luxury feeling overall. 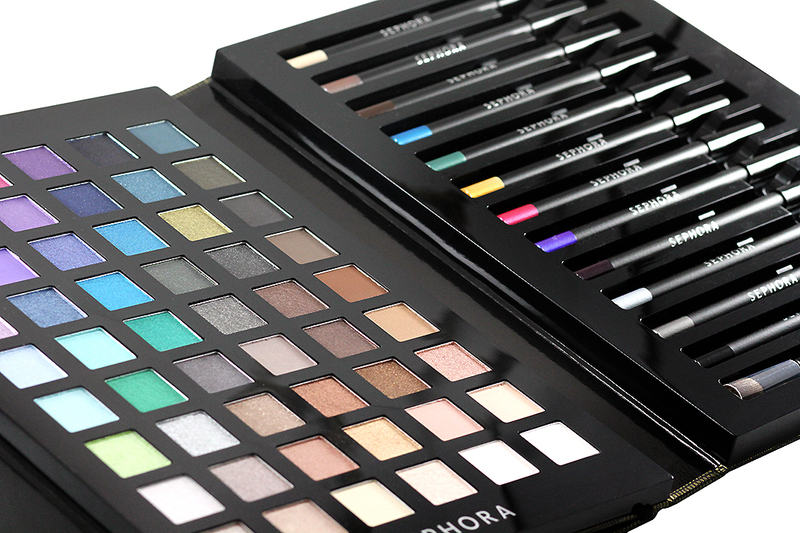 This is a tempting set though, and I kind of wish I had bought last year’s shadow palette (the one without the pencils, just shadows). 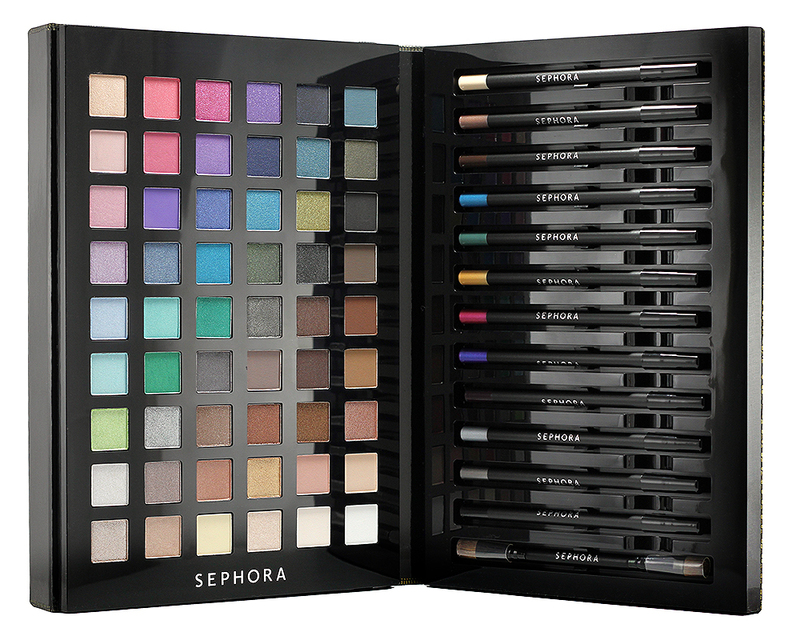 Kudos to you for swatching all those colors! I think this looks great, I would be psyched to find this under the Christmas tree. 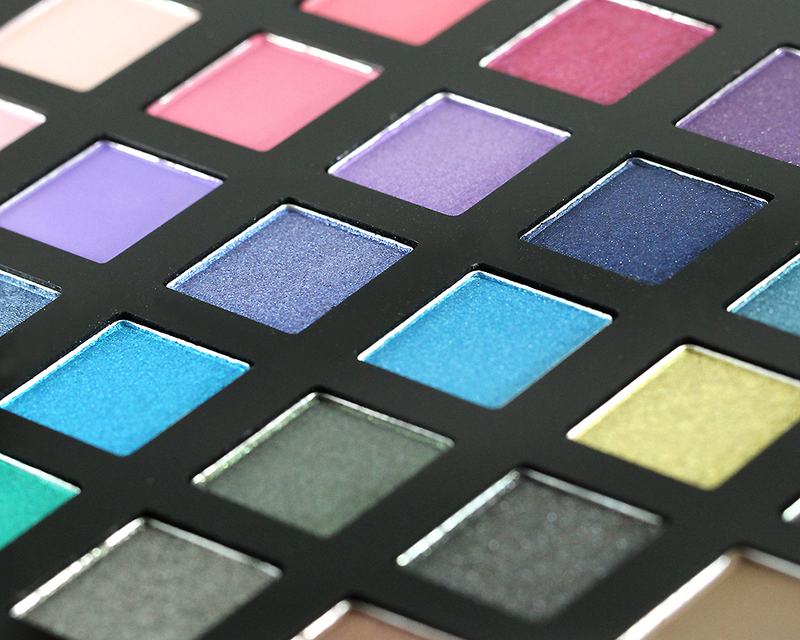 Swatching – compared to the Blockbuster palette, this one is a piece of cake! LOL. Christmas – Omg, it’s like NEXT MONTH! ALREADY! Does anyone know how I can get the name of a specific color? 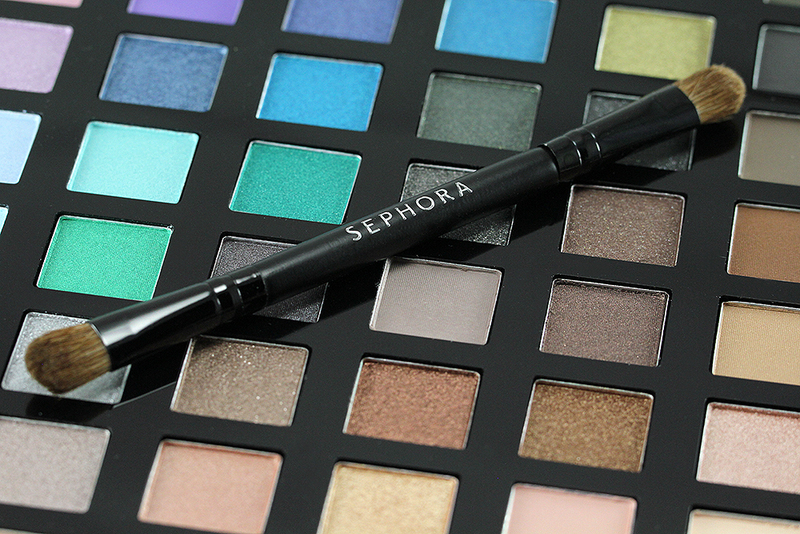 I have this palette, and my favorite color is almost gone!